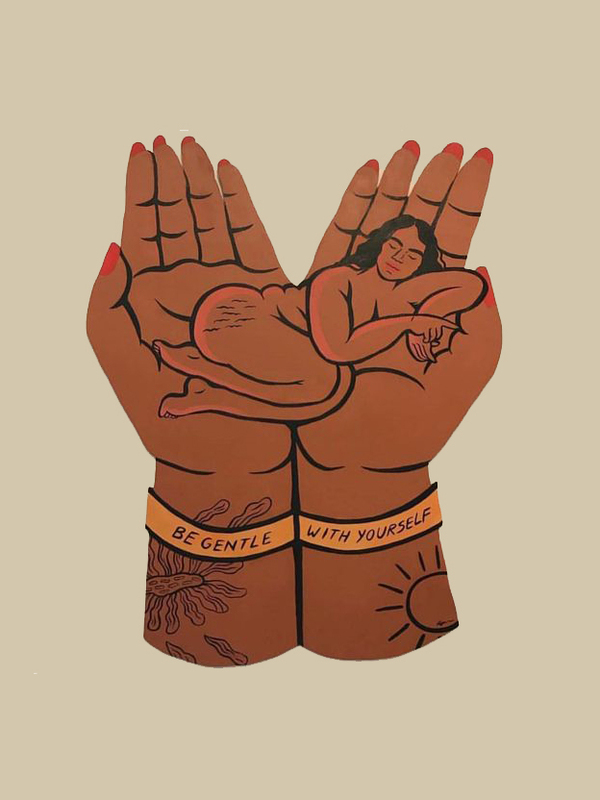 Self-compassion could be seen as the foundation of self-care. While self-care consists of acts, self-compassion is the way of relating to ourselves that allows us to know what we need as self-care. The developer of this framework is Professor Kristin Neff, who currently teaches psychology at University of Texas at Austin. She was in the last year of her doctoral work on human development at U.C. Berkeley when she became personally interested in Buddhism and began practicing insight meditation. After completing the research for her dissertation on children’s moral reasoning in Mysore, India, Neff decided she was interested in scientifically examining the Buddhist tenet of self-compassion. She stayed in India for two more years while conducting postdoctoral research. Neff also happened to meet her husband Rupert during that time. Over the course of 14 years, Neff continued to develop the framework and in 2011, she published Self-Compassion: The Proven Power of Being Kind to Yourself. Dr. Neff and fellow clinical psychologist Dr. Chris Germer also published The Mindful Self-Compassion Workbook and created an 8-week program called Mindful Self-Compassion to provide more guidance for people developing this set of skills. The applications of self-compassion are wide-ranging and these techniques can be helpful for people looking to build emotional resilience or motivate themselves, struggling with anxiety and depression, or experiencing difficult life circumstances. Neff has even specifically written about how her framework can be helpful for people who might be experiencing caregiver fatigue and for adolescents who are developing their first set of habits on how to treat themselves. Self-compassion is similar to the compassion we show for others. Compassion involves recognizing others’ suffering, feeling moved by it, and offering kindness and understanding in return. Many people instinctually are able to offer this to other people but have trouble finding these feelings for themselves. According to Neff, there are three elements to self-compassion, which all meld into the others. 1) Replace Self-Judgment with Self-Kindness. 2) Remember you’re not alone. 3) Balance the weight of negative feelings. To delve slightly further into these concepts, when we experience pain or disappointment, we can move away from judgment and anger with ourselves for not being able to avoid these things. Recognizing that we’re not alone in our suffering is not a way of minimizing what we experience, but remembering that we’re not uniquely flawed or deserving because we have pain. Finding perspective on negative feelings means learning not to suppress or ignore pain while learning how to avoid over-identifying with it to the extent that we cannot see outside of it. Even when these concepts are distilled into lists, it still takes time to establish a habit of implementing them. The idea of directing compassion towards ourselves might set off alarm bells for those of us that have been trained with a “stiff upper-lip” mentality and worry that this is “taking the easy way out,” but Neff stresses that self-compassion is not about forcing good feelings or indulging complacency but about learning to direct goodwill towards ourselves. Learning to see one’s self as a person worth caring for can be a major step in learning ways of thinking that can make us more productive and successful. Verbal abuse is not often a motivator for success, not even when it’s directed towards ourselves. Instead we can focus our drive towards “self-improvement” on doing healing that can be painful since treating ourselves with love will often make clear the ways in which we previously have not been treated with love. There’s a variety of ways to start building the capacity to practice self-compassion. Dr. Neff’s website offers a collection of exercises and guided meditations as well as additional resources on mindfulness. While there are many conflicting ideas floating around about self-care, discovering the concept of self-compassion has been what I’ve found to be most life-changing and transformative. Instead of dealing with challenges by trying to inflate my self-esteem, I’ve worked to reorient the voice in my head towards better coping with problems instead of ruthlessly criticizing myself for having them. I’ve also personally found that gaining more perspective on the way we ourselves feel and manage pain helps us sustain and grow our compassion for others and as a result I feel more connected to the people around me.